Turn your treadmill desk into a sit-stand-walk workstation with iMovR’s Tempo TreadTop chair. It's specifically designed to work well on top of the treadmill belt. 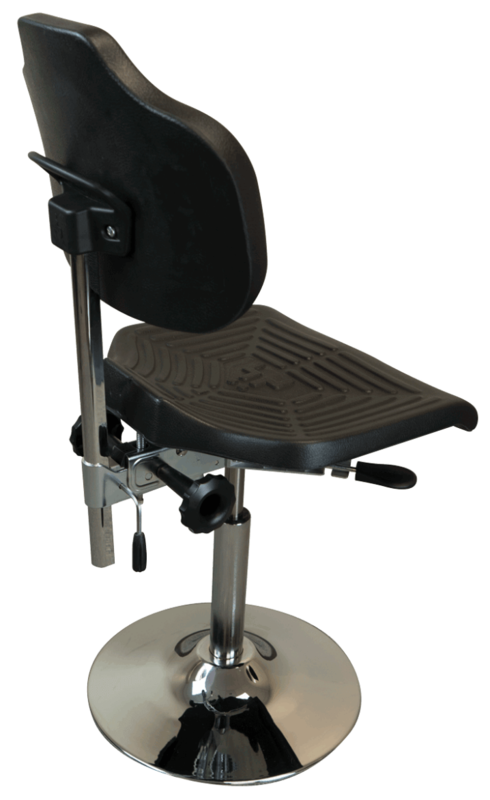 Never before has there been a portable chair this adjustable, this comfortable, this safe and oh, so durable. Optional arms kit and 18” chrome foot ring are available to add comfort during longer periods of use. 100% Made in America. Lifetime Warranty. Not everyone has a desk large enough to fit a treadmill and a chair side by side. In the past, workers at these small treadmill desks either had to move all their stuff to a separate sitting desk or use any number of clunky ad-hoc seating solutions on top of the treadmill. These workarounds were often unsafe and uncomfortable, as well as potentially harmful to the treadmill belt. iMovR’s new Tempo TreadTop chair is specifically designed to work well on top of the treadmill belt (or anywhere else, for that matter). 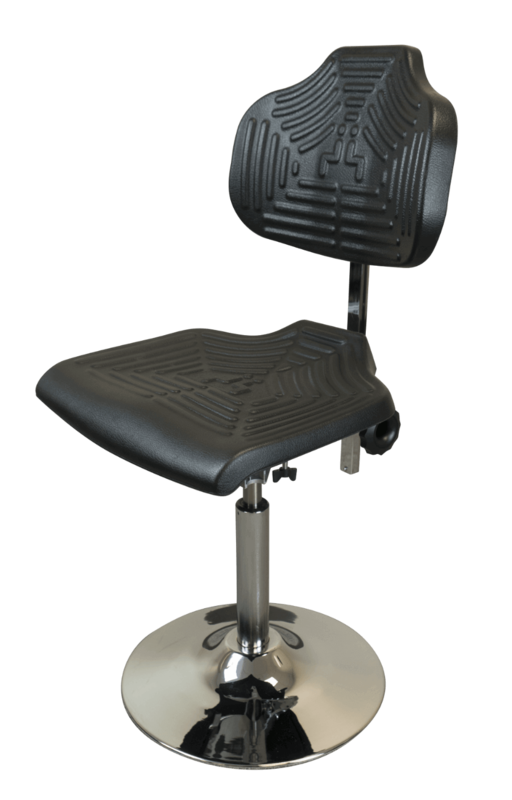 Never before has there been a portable chair this adjustable, this comfortable, this safe and oh, so durable. 100% made in America, the TreadTop Chair comes with an industry-leading lifetime warranty. The Tempo TreadTop Chair was rated four out five stars by WorkWhileWalking.com’s expert review team. Read their evaluation here. 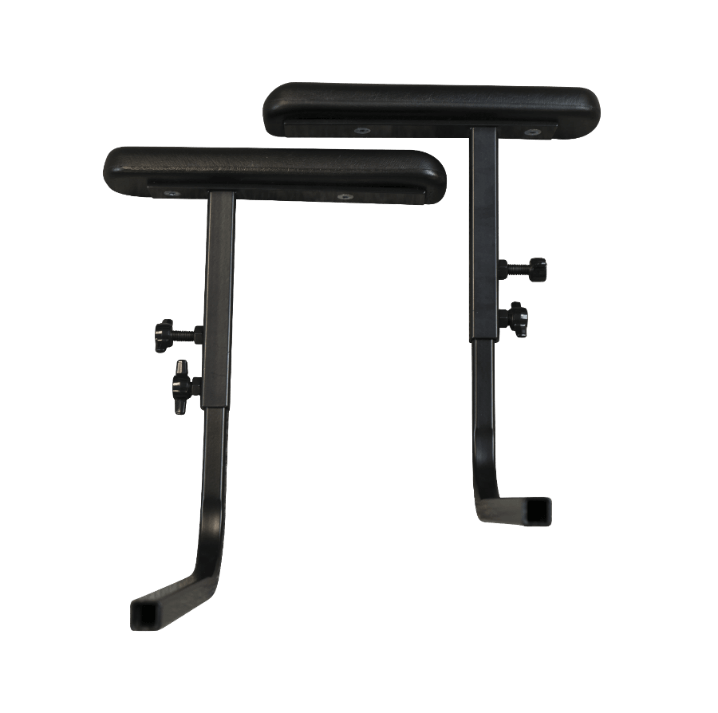 The Tempo TreadTop Chair features a 17”-diameter, polished chrome disc base, which easily fits atop any popular office treadmill, including the iMovR ThermoTread, LifeSpan TR800, LifeSpan TR1200, LifeSpan TR5000, Rebel 1000, Steelcase Walkstation, TreadDesk, Proform, and NordicTrack walking treadmill bases. The circular base distributes your weight evenly across the treadmill surface, so you can rest easy knowing it won’t damage the belt, as traditional caster wheels or chair legs are liable to do. The Tempo Chair is specially engineered to deliver unsurpassed comfort and support throughout the day. It all starts with Tempo’s 100% polyurethane, thermoelastic seat. As you sit, your body heat causes the seat to morph and mold around your body. The result is a one-of-a-kind sitting experience individually tailored to each user. Ridges along the seat surface promote airflow, keeping your body comfortable and cool during sitting breaks. Additional support is provided by a shock-absorbing, pneumatic, gas spring cylinder that further cushions you and improves your body’s circulation. 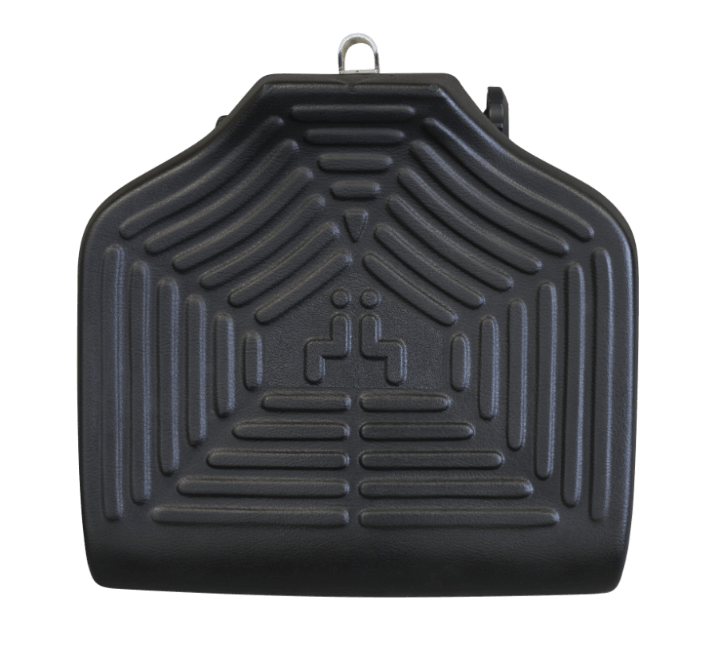 The seat pan tilt can be adjusted from -4° to +10°, promoting blood flow to the legs. The seat back can be adjusted to any height, and from a -10° to +10° angle. The entire seat is height adjustable from 17” to 24”. The Tempo Chair is designed for heavy-duty action and supports users weighing up to 300 lbs. But you’d never guess its 38 pound weight due to the way the weight is balanced, and how easy it is to lift and move using the handle built into the backrest. More than a stop-gap solution for treadmill deskers, the TreadTop Chair is comfortable enough for all-day use. An optional arms kit is available for those who do intend to use it all day. There is also an optional 18” chrome foot ring. This built-in attachment encourages more dynamic seating postures, and gives users a safe place for their feet when on the treadmill—never set your feet on your treadmill’s fragile motor housing again! Height Range 17" - 24"
Seat Dimensions 17.75" x 16.75"
Carton Dimensions 14" x 27" x 28"
The ultra-durable Tempo TreadTop Office Chair is backed by an unbeatable Lifetime Warranty. This product ships FREE to the lower 48 States. See our Shipping and Delivery Upgrade Options for complete details about our shipping service levels, methods of shipment, and options for other locations.